Customised to properly represent your business and brand. We deliver website design, graphic design, multimedia, custom development and programming.We offer services that speak of our passion, expertise, perception and taste. Our web development team is experienced and passionate about every job we take on, an aspect that sets us apart. With our web design service, you get customized, unique and strategic visual communication tools and not typical and customary template designs. 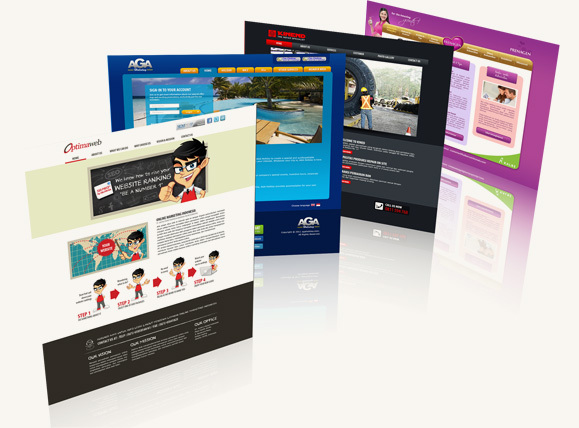 A good web design will guarantee a visually dynamic point of contact for your customers and encourage them to return. Our designers collaborate with the user experience team to create the best design with the highest value of user experience. Our works include template design, concept development, branding, illustration, and more. We understand the complexity of web development and we can help you achieve marketing success by building you a site that balances technology and design with an effective user experience that meets your business needs.